The 2016 Calgary Permaculture Tour was a fabulous success! Thanks to all our partners and guest for making the 2016 Calgary Permaculture Tour a memorable day!! This year's Calgary Permaculture Tour was another wonderful time to enjoy all Calgary has to offer in the world of green living and connecting with each other! This has traditionally been the meeting place now for 4 years running where we begin our tour. A local community garden in Calgary's Southwest Community of Wildwood, construction of the unique and eye-catching Wildwood Garden began in the spring of 2012. The permacultured site has been heralded for many 'firsts' in Calgary and has since received multiple awards and grants for its construction and design. More and more new elements are added to the site each year with a water spiral which saw its completion at the end of August 2014. ReGenerate Design Ltd. is a Calgary based design firm, creating holistic design solutions and empowering people to be leaders for positive change. 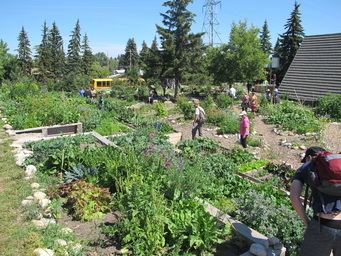 A newcomer to our tour as of this year, they offer urban design, permaculture and placemaking services in the Calgary area at a range of scales; from urban yards and peri-urban acreages to community gardens and public spaces. At the site we will be visiting this year, rainwater flows from the downspouts through dry creekbeds to cascading mulch basins that weave through the yard and form interesting pockets of food forests intertwined with flagstone and crushed rundle pathways. Don't want to give away too much though, come see for yourself! Verge Permaculture is back in the tour lineup this year after a year-long sabbatical in 2015. 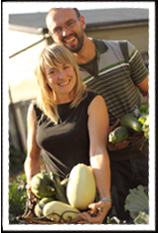 Rob and his partner Michelle Avis have made permaculture a household name in our city. Verge is "excited to be offering permaculture courses and looking to inspire people to embrace integrated solutions and empower them to bring connected design concepts into their own home, businesses and lives." ​As always, the final stop on our tour finishes with an amazing dinner permaculture style! Be guided by Louise Bruns to sample tasty greens and herbs from the veggie gardens, and then directed throughout this century farm to observe everything from greenhouse to livestock to a triple mandala garden overlooking the lush valley. 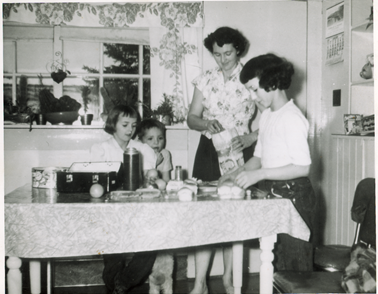 Bring your appetites back to the yurt to relax and chat before a home-grown, multiple-course, organic dinner! Free Parking for the duration of the tour. Subscribe to our newsletter be kept in the loop!